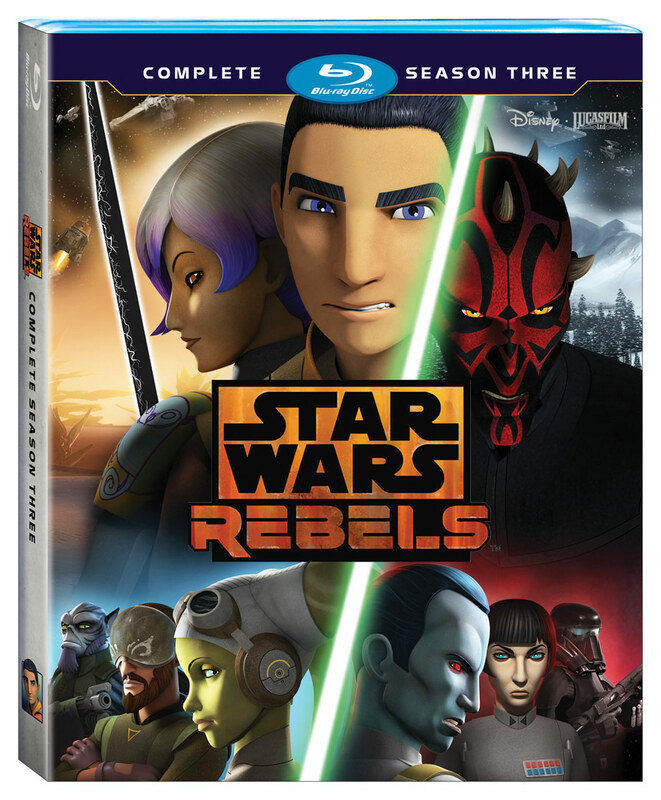 Star Wars Rebels Season Three Blu-ray box art. Return To Mandalore Explore where Mandalore fits within the Empire’s regime – and whether Sabine can unite her people against the Imperial forces. A Rebel AllianceDiscover how the formation of the Rebel Alliance in Rebels ties into the Rogue One timeline – and the exciting story possibilities that lie ahead for season 4. I have to say, it's really nice to see some proper bonus features on the blu-ray box set for a change. The season two release was severely lacking in this regard, and season one wasn't much better. So it's good to see that Lucasfilm and Disney listened to fans. On top of that, they're delivering something we never even got on The Clone Wars blu-ray releases: audio commentaries! This is something fans have been asking for since the first season of Clone Wars was released on DVD and blu-ray in 2009! I, for one, am looking forward to picking up this box set when it's released this August.